Benefit always comes up with the best names, the best packaging and the best products. 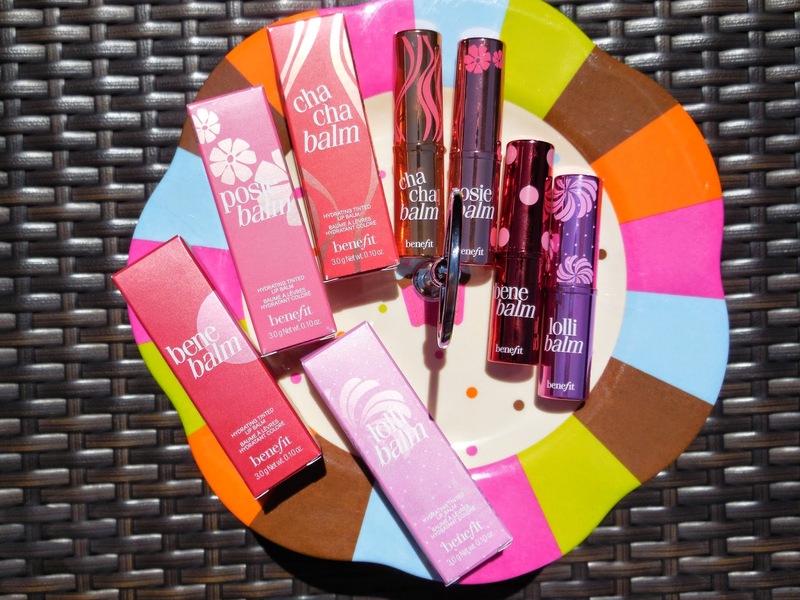 This time around they launched the new Benefit Balms that will match the Benefit cheek stains. These new Balms are more of a moisturizing lip product, you will not get a huge color payoff but a little tint to your lips. Really cool for an easy look this summer, straight from the beach to the restaurant or out in the park. What's even cooler is you could gift it to a teenage girl that's dipping in the world of makeup and beauty. But seriously how gorgeous is the packing on these Benefit Balms ? !